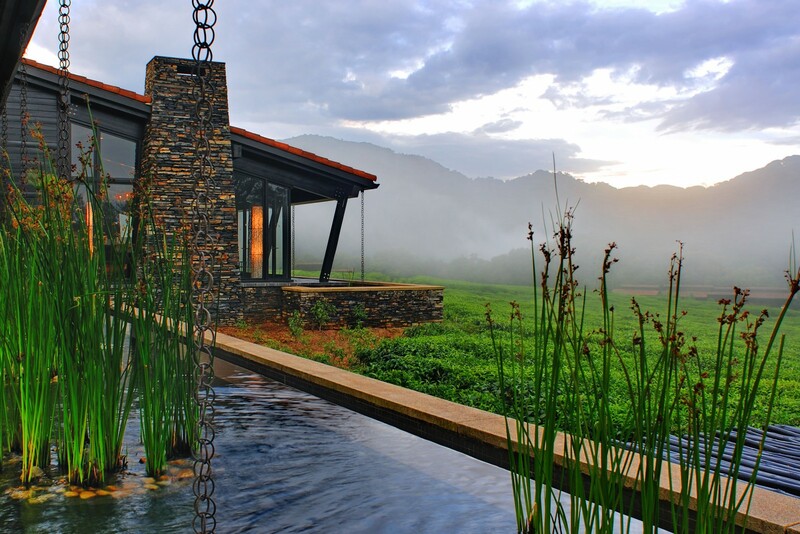 Using some of the best wildlife lodges in the country, this gently paced itinerary also encompasses Rwanda’s top natural history highlights. 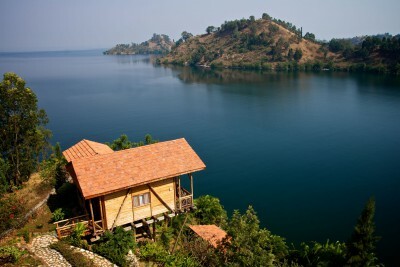 Starting with four nights in the Volcanoes National Park where you will spend two amazing days gorilla tracking plus a day seeking the rare golden monkey, descend to Lake Kivu for beautiful lakeside scenery and calm relaxation. Then head to Nyungwe forest for troops of chimpanzees and a possible twelve other species of primate, some extremely rare. With a little time in Kigali at the end, you will soon discover why Rwanda is considered one of the most beautiful and friendly countries in all Africa. 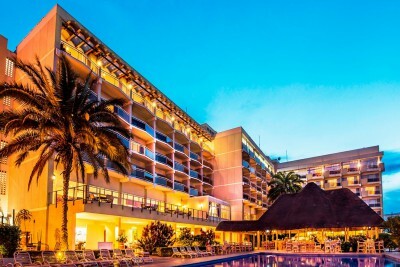 Arrive Nairobi and connect with flight to Kigali. Met on arrival by your private driver with 4x4 vehicle and drive to your luxury lodge close to the Volcanoes National Park. Free afternoon to relax and explore. Staying at Sabyinyo Silverback Lodge. Includes Dinner. 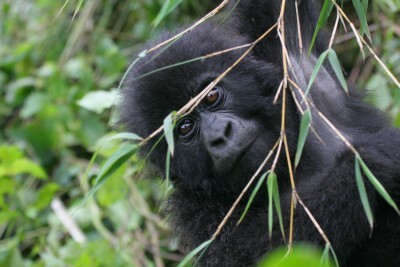 After breakfast, check in at the park entrance at 0700 for a thrilling morning of mountain gorilla tracking. The length and difficulty of the walk to the gorillas depends on which group you are tracking and its whereabouts that day; but once there, you can spend a full hour watching these amazing creatures. Lunch at the hotel. 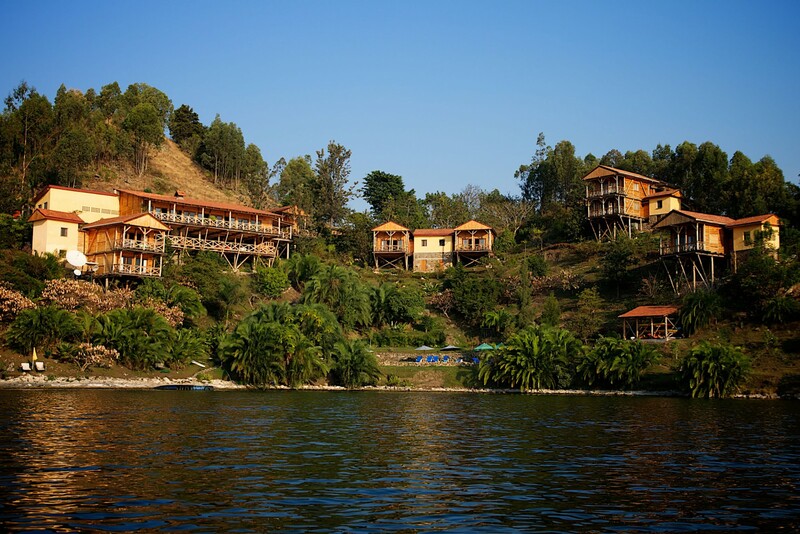 Afternoon at leisure to relax or visit the twin lakes of Bulera and Ruhondo. Staying at Sabyinyo Silverback Lodge. Includes All Meals. Morning golden monkey tracking with park guides. Free afternoon or optional visit to local forest for wildlife and ancient archaeological site. Another morning of exhilarating gorilla encounters. You will typically be assigned a different group from the previous day. Lunch at the hotel and afternoon free. Staying at Cormorana Lodge. Includes Breakfast. 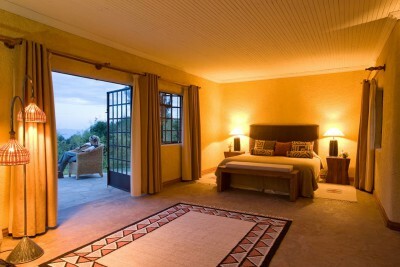 A free day to relax and enjoy the sights and sounds of Kibuye. This sleepy lakeside town has a white sand beach and kayaks for hire, and boat trips are available to nearby islands. 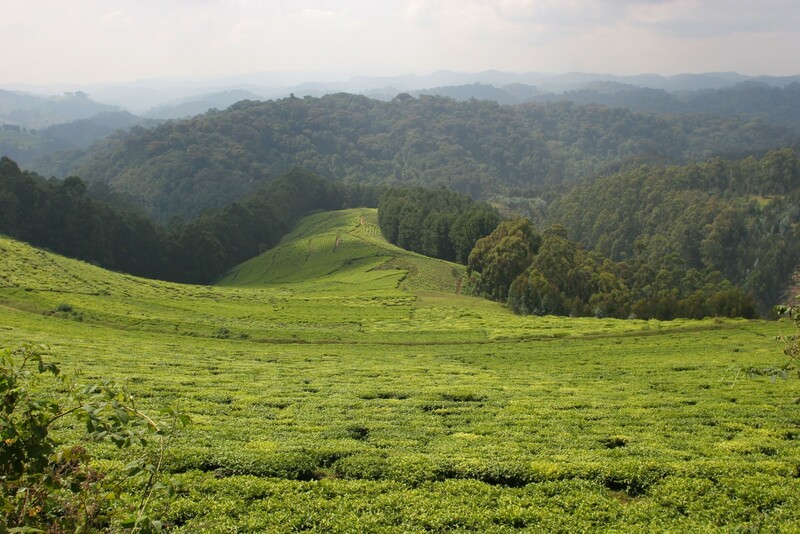 Continue south along Lake Kivu then head inland via a beautiful patchwork of forest and tea plantations to Nyungwe Forest National Park. 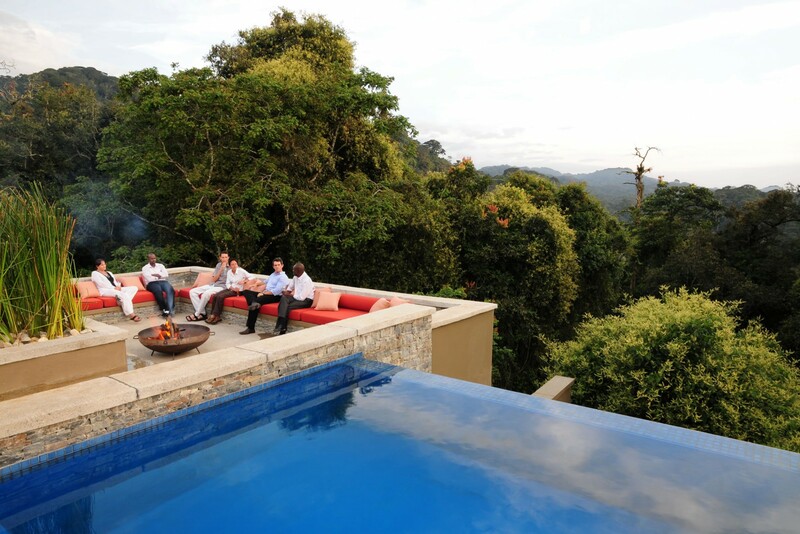 Staying at Nyungwe Forest Lodge. Includes All Meals. Early morning transfer to the Nyungwe Forest National Park to meet with your trackers. Spend morning primate tracking – chimpanzees will be your main quarry, and you may encounter other primates, birds and insects along the way. PLEASE NOTE: the walking here is very steep and slippery; primate troupes may be many hours walk from the park headquarters and are often fast moving. A good level of fitness is essential. Another morning primate trekking in the forest. Free afternoon to relax and enjoy the wonderful facilities of your hotel. Depart from your hotel and drive to Butare to visit the National Museum. Lunch at local restaurant and then continue to Kigali. Explore the city by foot and enjoy a dinner in a local restaurant. Staying at Des Milles Collines Hotel. Includes All Meals. Free morning in the city. If you wish you can visit the Genocide Memorial with your private guide. Transfer to airport in time for flight home. 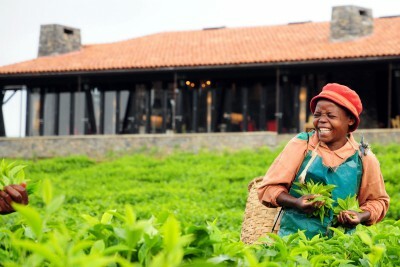 Rwanda is a year round destination. The driest months are June to September but you should expect rain at any time. Everyone we ran into in Rwanda was so friendly, kind and proud of their country. The service they provided was excellent. We had a wonderful time getting to know them better. Our guide was AMAZING. We got to know more about Rwanda and its people because we spent so much time with him. He stopped frequently to point out all the different birds to us or show us a particular view. 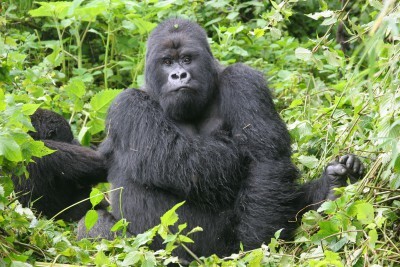 He helped us get on the gorilla hikes that suited our fitness and interests. He let us know exactly how each day was going to play out so we could be ready with the right clothing and water / snacks. All the guides for the tours were very knowledgeable and quite entertaining. They were concerned with our enjoyment and our safety. The porters were invaluable – they not only carried your pack (filled w. camera equipment & water) but also helped us up the steep grades and along ledges. 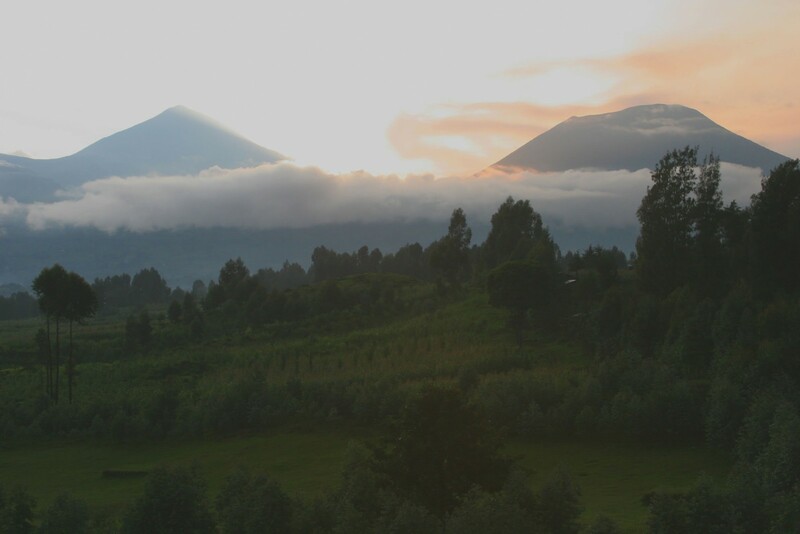 The landscape was as spectacular as the wildlife in Rwanda. Pictures do not do it justice. 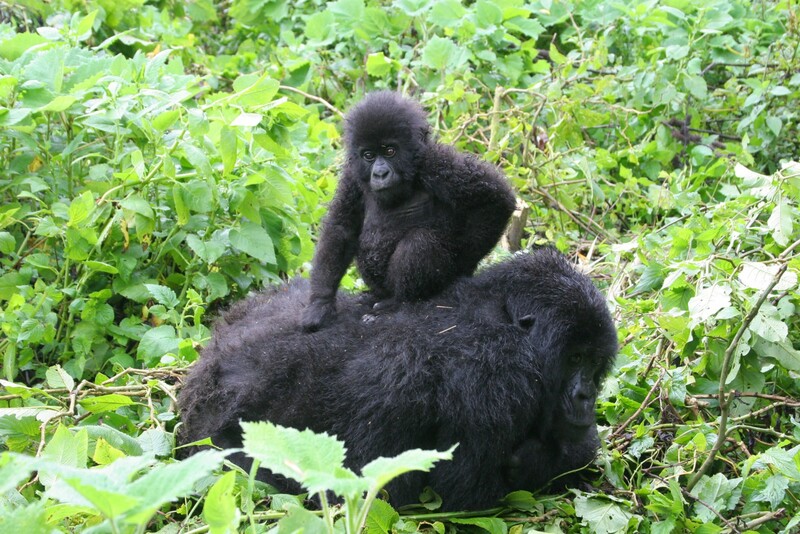 Seeing three different gorillas families was the highlight but there was so much more to see. The Golden monkeys were gorgeous. 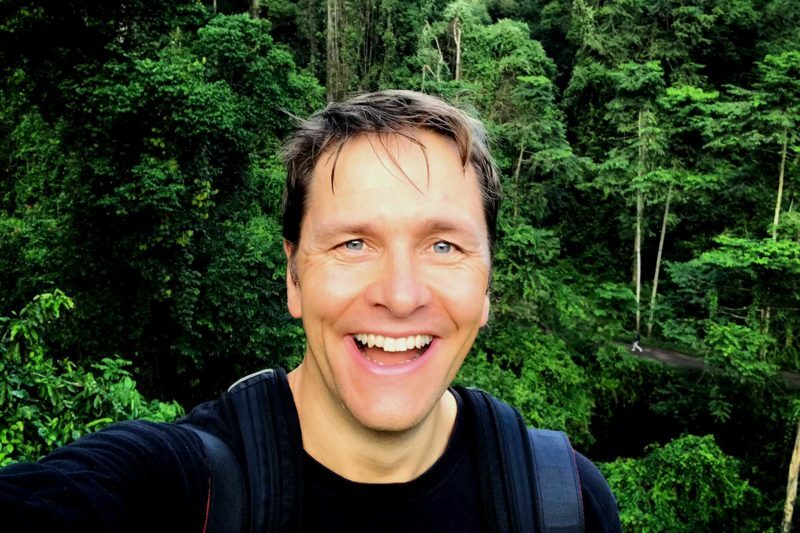 Nyungwe was a beautiful park filled with primates and birds. We saw chimps, mona, vervet , blue, mangabeys, mountain and colobus monkeys. We changed one of the tours (the waterfall one) and went birding for an entire day instead. We saw tonnes of birds including a Great Blue Turaco and many different kinds of sunbirds and hawks. One day we will get to the UK and actually the meet the wonderful people who plan these incredible vacations for us. Thank you for all the help you give us.